In contrast to most Indian Muslim leaders, Khan sees the Muslim predicament as almost entirely of their own making. While recognising that Muslims in India are indeed, by and large, poor, illiterate and backward, and, sometimes, victims of organised violence, he argues that the problems that Muslims face stem, at root, from having abandoned the path of Islam and having strayed from the teachings of their religion. Because of this, he insists, God has appointed others as an instrument to express His anger with them, punishing them for their dereliction of their divine responsibilities as the khair ummat (‘the best of the communities’), as the Qur’an describes the Muslim ummah. Hence, Khan argues, Muslims must not seek to blame others for their plight, and must, accordingly desist from agitation or confrontation with them. Since their problems are a result of God’s wrath for their straying from the teachings of Islam, they must seek to win God’s favour, instead. Khan is among the few Indian ‘ulama to have taken seriously the issue of pluralism and inter-community relations, free from the polemics and negative stereotypes that generally characterise the response of many Muslims to people of other faiths, particularly the Hindus6. 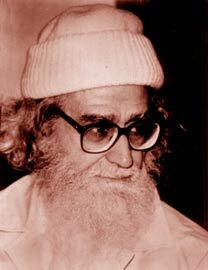 Writing in the mid-1970s, Wilfred Cantwell Smith had remarked on the seeming inability of the Muslims of India to come to terms with a situation of being, in theory, equal citizens in a plural, multi-religious India, arguing that articulating a clear Islamic position on the matter was of the greatest importance for the community7. This, in fact, is precisely what Khan seeks to do in many of his writings. The Indian Muslim predicament, as a minority that sees itself as increasingly beleaguered and threatened by the rise of Hindu militancy, is one that Khan takes as one of his primary concerns. Khan insists that Muslims must come out of their ghettos, shed what he calls their ‘persecution complex’ and separatist mentality8, search for opportunities that exist despite the odds that seem to weigh heavily against them, and work along with people of other faiths for building a new society. In other words, they should be guided by pragmatic considerations rather than by a misplaced idealism9. Muslims must not sit back in despair, for Islam forbids despondency, branding it as a ‘grave sin’. Khan quotes the Qur’an as saying that, ‘No one despairs of God’s mercy except those who have no faith’ (Q: 12:87)10. In contrast to most Indian Muslim leaders, Khan sees the Muslim predicament as almost entirely of their own making. While recognising that Muslims in India are indeed, by and large, poor, illiterate and backward, and, sometimes, victims of organised violence, he argues that the problems that Muslims face stem, at root, from having abandoned the path of Islam and having strayed from the teachings of their religion. Because of this, he insists, God has appointed others as an instrument to express His anger with them, punishing them for dereliction of their divine responsibilities as the khair ummat (‘the best of the communities’), as the Qur’an describes the Muslim ummah. Hence, Khan argues, Muslims must not seek to blame others for their plight, and must, accordingly desist from agitation or confrontation with them11. Since their problems are a result of God’s wrath for their straying from the teachings of Islam, they must seek to win God’s favour, instead. If Muslims were to faithfully abide by the teachings of Islam in their own personal lives and social dealings, he argues, they would be rewarded by God, and not only their manifold problems would be resolved, but they would also be granted ‘victory’ (fateh) over others12. Hence, as Khan sees it, Muslims must turn to internal reform rather than seeking external solutions to their problems through conflict with the state or with the dominant Hindus. This calls for the creation of an entirely new Muslim leadership, one that seeks to lead the community to the path of construction rather than confrontation. Peace and building bridges with people of others faiths then, is a matter of particular urgency for Muslims, Khan argues. The growing challenge of Hindu militancy in India today has resulted in an increasing insecurity among the Muslims of the country. In response, some Muslim groups have called for armed conflict to defend the community, in the name of jihad. Khan sees this as a dangerous development, boding ill for the interests of the community, as well as, in his view, having no sanction in the Qur’an. He likens those who call for violence against others as the false prophets referred to in the Bible and Qur'an, who sought to mislead the Children of Israel from the path of God, feeding them ‘the wine of false pride’, exaggerating their glories, provoking their emotions and leading them to an imaginary paradise13. Instead of being motivated by this-worldly considerations and purely communal interests, which, he says, are ‘forbidden’ (haram) in Islam and akin to the ‘tribalism’ (asabiyyat) which the Qur’an sternly condemns, Muslims must act solely in accordance with the teachings of their religion14. Further, they must desist from seeking to promote their own worldly interests under the guise of Islam and Islamic jihad15. Khan argues that Islam is synonymous with peace, and that Islam enjoins upon Muslims to explore every possible avenue for peaceful negotiation of conflicts before military means can be contemplated. He sees many such avenues open in India today which the Muslims have failed to consider. Inter-religious dialogue assumes for him a particularly important role in this regard. He writes that the Qur’an positively encourages Muslims to dialogue with people of other faiths, on the basis of what they have in common—belief in the one God and the doing of righteous deeds—while insisting that all people have the right to their own faith (‘Unto you your religion, and unto me mine’ [Q: 109:6])16. Every religion, he writes, upholds certain basic human values, such as love, compassion, peace and a concern for the poor and the marginalised, and these must form the basis of any dialogue initiative. Further, Islam insists that all human beings, in their capacity of being creatures of God, are brothers and sisters unto each other. Hence, Islam enjoins upon Muslims to live with others as ‘brothers in spirit, too’. The Prophet Muhammad is said to have exhorted Muslims to show ‘respect for every human being’ and ‘honour one of another creed17. Hence, Islam calls people of different faiths to have ‘mutual respect’ for each other on the basis of their common humanity, while following their own religions. This is said to be the only realistic way to deal with a situation of religious pluralism18. Khan writes that the Muslims of India today find themselves in a position similar to that of the Prophet and his followers in Mecca, when the nascent Muslim community was small and relatively powerless. Just as the Prophet, at this stage, concerned himself only with peaceful preaching, so too must the Muslims of India eschew all confrontation with others and, instead, seek to win them over through dialogue and peaceful propagation of Islam. What is required, then, is a contextual reading of the Qur’an and the Prophetic tradition, the Meccan model providing the basic source of inspiration for Muslims today19. Accordingly, Khan says, Muslims must seek to build bridges with others on the basis of the values that they hold in common, and, in accordance with the Prophetic example, work along with them for the establishment of a more just, prosperous and peaceful society. They must concern themselves with the problems and issues concerning the country as a whole, in a spirit of enlightened patriotism and love for the country20 , instead of, as at present, thinking only of their own communal interests21. In the process, Muslims would be able to convince others that Islam has viable solutions to the problems affecting society at large. It is only by ‘proving their usefulness’ to society as a whole that others would not only come to regard Muslims as valuable allies, but would also appreciate Islam as a religious option. Muslims should be able to contribute their services to society, and transform themselves from the status of ‘takers’ to that of ‘givers’22. Further, by removing others’ misunderstandings of Islam as a violent religion, peaceful dialogue will also help facilitate Muslims being able to join the ‘mainstream’ of ‘universal life and participate in the benefits of global economic progress23. If they were to devote themselves to promoting peace in society as a whole, they would be able to focus their energies on the economic and educational development of the community which, owing to their past ‘belligerence’, they have totally ignored24. Efforts to promote peace must necessarily mean that Muslims should reach out to people of other faiths in a spirit of constructive dialogue. Khan is one of the few Indian ‘ulama to have seriously engaged in inter-religious dialogue initiatives, being a regular speaker and participant at meetings of various religious heads. He has also not hesitated in meeting and interacting with leaders of militantly anti-Muslim Hindu groups, such as the Rashtriya Swayamsevak Sangh (RSS). He justifies this by arguing that in India Muslims have to learn to live along with the Hindus. Instead of looking, in vain, simply to the government to solve their problems, Muslims, he says, must seek to build better relations with all sections of the Hindus, this alone being a guarantee for the protection of their own interests. This has won him the epithet of ‘the RSS Maulana’ from some Muslims, but he insists that Muslims must seek to interact even with those who seem most vehemently opposed to them, in order to impress upon them the actual teachings of Islam. A willingness to appreciate the common values that all religions hold in common does not, however, mean that all religions are equally valid. Khan insists that Islam is the most perfect religion, being the only religion whose scripture has survived intact. ‘One can safely say’, he writes, ‘that for a seeker after the Truth, there is…only one choice to make, and that is the choice of Islam, the only religion having true historical credibility’25. The relation between Islam and other religions is like that between modern chemistry and medieval alchemy: although their subject matter is the same. Islam, like modern chemistry, is based on ‘facts proved by strictly scientific methods’, while other religions, like alchemy, are grounded in ‘unproven speculations’26 This consciousness of the superiority of Islam, he says, should not, however, deter Muslims from being willing to enter into dialogue with others. 6 For an interesting study of how Muslims and Hindus in India tend to perceive each other, see Theodore P. Wright Jr., 'Hindu-Muslim Stereotypes in South Asia', in Journal of Asian and African Affairs, 3 (July1991): 7-16. For a historical treatment of the subject, see M.A. Saleem Khan, Early Muslim Perception of India and Hinduism, South Asian Publishers, New Delhi, 1997. Princeton University Press, Princeton, 1977. 8 Significantly. Khan fiercely condemns the Muslim League and its 'two nation' theory on which itsmovement for a separate Muslim state of Pakistan was based. See, Wahiduddin Khan, 'Factors Hindering Hindu-Muslim Unity', The Times of India, Bombay, 23 March, 1993. 9 Wahiduddin Khan, Hal Yahan Hai, Maktaba al-Risala, 1985, p.74. 11 Hal Yahan Hai, op.cit., p.77. 12 Hal Yahan Hai, op.cit., p. 10. 13 Hal Yahan Hai, op.cit., p.18. 14 Hal Yahan Hai, op.cit., p.57. 15 Islam Rediscovered, op.cit., p.63. 16 Wahiduddin Khan, Islam and Peace, al-Risala, NewDelhi, 1999, p.112. 19 Islam and Peace, op.cit., p.163. 20 Wahiduddin Khan, The Making of the Indian Nation,http://www.alrisala.org/Articles/india/ nation.htm. 22 Hal Yahan Hai, op.cit., p.69. 23 Islam and Peace, p.194. 25 Islam Rediscovered, op.cit., p.43. Read books on Indian Muslim Islamic topics only on MG bookstore !